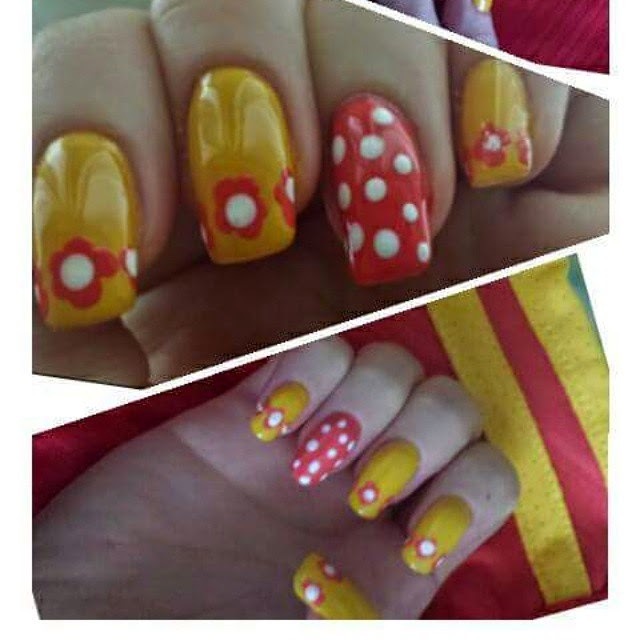 A simple bright red and yellow with simple polka dotting! Dots are the best to make cute nailart! Haha.